All manner of books come to my notice here at the John Cage Trust, and some want far wider attention than they might otherwise receive from normal channels of publisher distribution and advertising. Hence, here are three mini-reviews of my summer reading thus far! 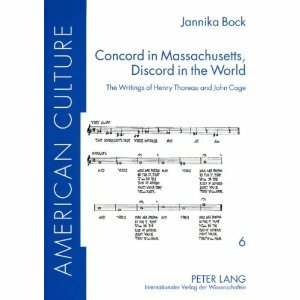 The biggest surprise is Jannika Bock's Concord in Massachusetts, Discord in the World: The Writings of Henry Thoreau and John Cage, a dissertation completed at the University of Hamburg (2008) and published as Volume 6 in the "American Cultures Series" by Peter Lang. Barring the obstacles to pure reading pleasure inherent in any academic writing -- text that argues incessantly with itself, the repetitive reiteration of what's been said and what will be said -- this is an extremely useful book, fairly comprehensive of an extremely important topic. I say fairly because Bock's coverage is limited to Cage's published writings, without benefit of the lesser-known manuscripts housed here at the John Cage Trust. Nonetheless, I found this book extremely illuminating, but maybe less for what is said about John Cage than for what is said about Henry David Thoreau. The author is German born, and her work is further testament, if any is needed, to the value of outside eyes that look pointedly in. 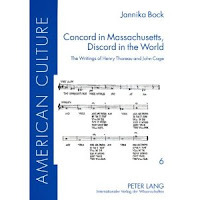 We know that Thoreau was important to Cage, evidenced by the many works by Cage that rely in one way or another upon the work of Thoreau, but after reading this book I'm tempted to go further and say that Cage may in fact have been Thoreau's embodiment in music. 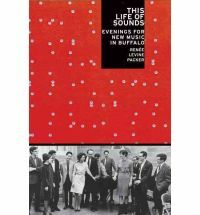 Another remarkable book that I've watched long in the making is Renee Levine Packer's The Life of Sounds: Evenings for New Music in Buffalo (2010), now available from Oxford University Press. This is a compelling account of the lively new music scene that began at the State University of Buffalo in the 1960s that culminated with the appointment of Morton Feldman as director in the 1970s (following in the formidable wake of Lukas Foss and Lejaren Hiller). The text is authoritative and insightful (Levine Packer was a key official with the Center of the Creative and Performing Arts), and also beautifully written. Cage figures nicely here, of course, alongside the veritable who's who that was Buffalo at the time: George Crumb, Terry Riley, Cornelius Cardew, Maryanne Amacher, Frederic Rzewski, David Tudor, Julius Eastman, Jim Tenney, Iannis Xenakis, and many, many others. The book provides valuable accounts of the Center's influential concert series, "Evenings for New Music," and the extensive appendix materials include a useful timeline, interviews, a roster of the Creative Associates (and graduate fellows) from 1964 to 1980, and a selected discography of recordings by members of the Center. Brava, Renee! 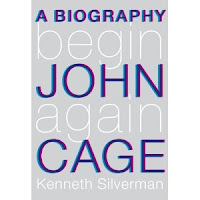 And, I'm happy to say that I was privileged last week to read the galley proofs of Kenneth Silverman's long-awaited and now forthcoming Begin Again: A Biography of John Cage, soon to be published by Knopf. Silverman is a well seasoned biographer, whose previous works have focused on the likes of Samuel Morse, Houdini (Ehrich Weiss), Edgar A. Poe, and Cotton Mather. He's clearly inclined toward the experimental and iconoclastic, and he situates Cage squarely within a camp that includes Gertrude Stein, Charles Ives, Henry David Thoreau, Ralph Waldo Emerson, and, perhaps especially, Walt Whitman. I expect this book to greatly diminish at least a bit of my work here at the John Cage Trust, in that it answers many a biographical question. (Not to sound immodest, but even I learned a lot from its innumerable anecdotes!) It's extremely well researched evidenced by the meticulous substantiations that comprise its "Documentation" section. Add to this is a lively little CD of a dozen or so excerpts of works by Cage previously released on Mode Records, provided courtesy of Brian Brandt, and featuring such stellar performers as Philipp Vandre, Martine Joste, Ensemble Modern, Irvine Arditti, Stephen Drury, and even Cage himself. 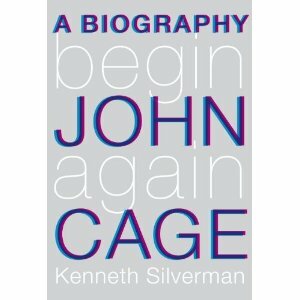 Excellent work, Ken, and may this first exemplary biography of John Cage set the bar for many more to come! 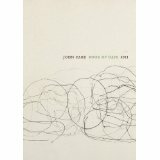 And just a little heads-up that the John Cage Book of Days 2011 is now available! My favorite Cage quote of this new edition?